What is this thing you call ‘sleep’? 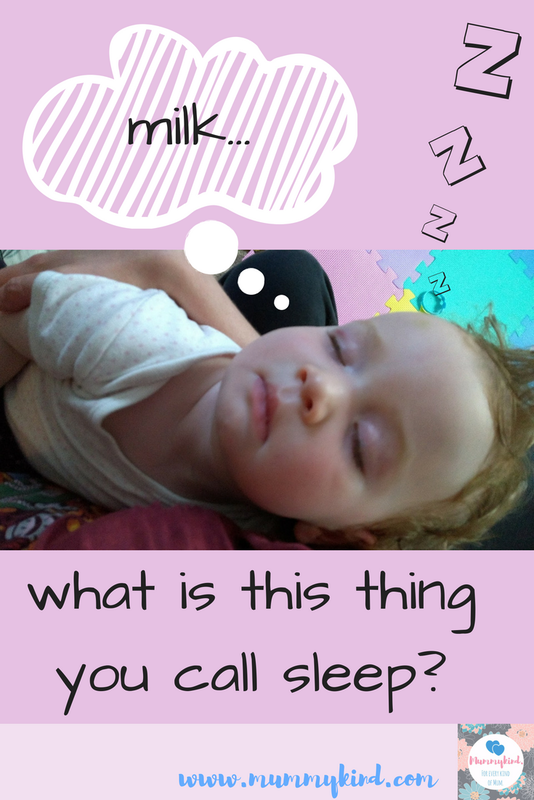 Sleeping through the night… It is that one thing us parents all desire. Yet we still don’t feel refreshed when we finally get it. It quite simply seemed to me that my baby was the one and only child that wasn’t sleeping through the night. Every parent I spoke to was telling me that their little angel was sleeping through. I kept thinking come on! We can’t be the only ones, surely? There must be someone out there who feels my pain!! I know for certain that I didn’t sleep through as a baby. I know this because my mum likes to remind me of this constantly. “You only stopped waking us in the night when you knew how to open the fridge…” So this is my come uppance for not letting her sleep for 3 years… Sorry mum! We tried what felt like everything! Playing soothing music, singing lullabies, reading at bed time, low lighting, rocking, figure of 8 rocking, extra naps in the day, dream feeding. We were encorporating each new idea into a routine which we meticulously stuck to each evening. …just as you are in a nice deep slumber the bear stirs and wakes from her den. The crying feels like pure torture as you wake. Your eyes can hardly open. You feel startled and confused trying to maneouvre yourself safely through the dark, headed straight towards the commotion. Not knowing if you will be in the den for 5 minutes or an hour. What fate awaits you? Will this bottle of milk be enough for you? Where’s your dummy? Has it fallen behind the cot? Is it colic? Are you teething? Where’s the calpol?! We need calpol up in here, stat! One evening we thought we would try the old ‘cry it out’ method in desperation and it was quite possibly the worst night ever. Our daughter screamed and screamded while I sat and cried in the next room. I felt absolutely rotten. It just wasn’t for us. That’s it. We’ll just have to try letting her sleep in our bed, but only on this one occasion we thought. But it never is ‘just the one time’ though is it? And then she’s loving the bed. …and we’re falling off the edges of the bed. Right, that’s it, change of plan. But then, one night completely out of the blue she started sleeping through! I don’t know what happened. It’s a trap. It’s got to be. It’s too good to be true! You feel elated. You quite honestly feel as though you’ve never had it so good. This sleep is pure gold. Your birthday and Christmas have come at once. You’ve built this moment up. There’s so much expectation. Why don’t I feel refreshed? You know what though? I will wake up as many times as I need to, to make sure my daughter is ok and comfortable. This is a sacrifice I am willing to make and if I don’t sleep a full night for the next few years then that’s just the way it is. This is the life of a parent and it’s the best job in the world. 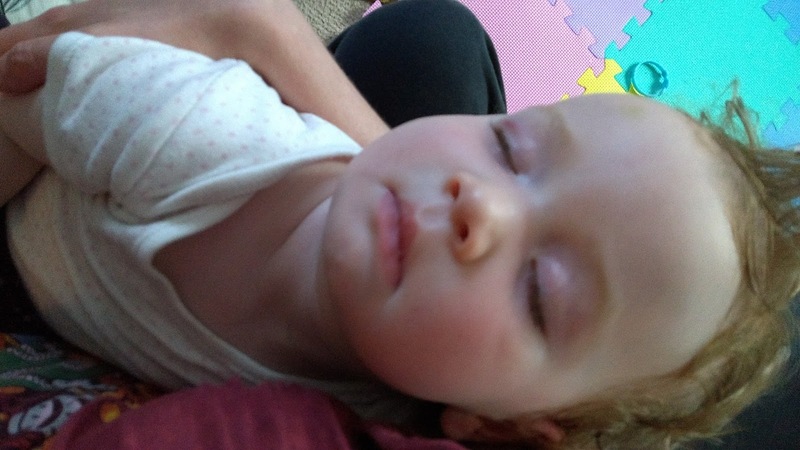 My daughter like any other baby has her relapses too when she’s teething, she’s too hot, too cold, or poorly, but it becomes so much easier to understand as your little one gets older. I feel I’ve become so much better at working it out too. Just know that you’re not alone. When you’re up at the crack of dawn and tearing your hair out, there is another parent maybe only a few roads away doing the same thing. It might seem that other parents have got it all figured out, and maybe they have, or maybe they’re stretching the truth a little bit. It’s all okay! The main thing is your baby is safe and well and you are looking after yourself, the best you can. This time goes so quickly. You blink your eyes and before you know it a year has flown by and you’re celebrating your little bear’s first birthday. It is all worth it, every second. Next Post Have you checked your lemons, melons or mangos?